Last night, the meeting topic was change. How have we changed since we got sober? How do we continue to change? What led us to that change? Were we willing to change or did we fight it? You don’t have to be in recovery to relate to these questions. Change is hard. Period. And, I can guess most of us don’t like it – one bit. I can’t stand it. In fact, I spent most of my life trying to control everything around me so people, things and situations wouldn’t change. But, sooner or later I realized that I don’t control change – God does. I have a good friend who’s struggling in her recovery right now. If you’ve never dealt with addiction or alcoholism, it’s hard to understand why someone would continue to do the same things when they always get the same results. But, that’s the insanity of an addictive mind. A “normal” person might ask, “Well, why doesn’t she just stop and get help?” It’s not that easy. 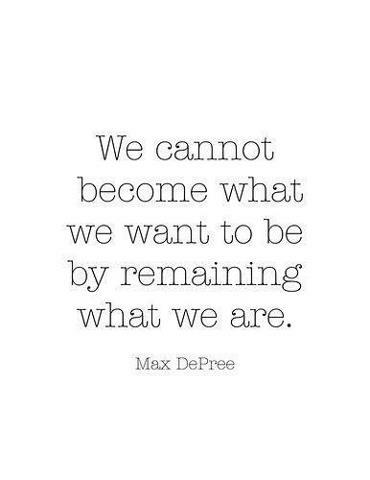 You have to actually WANT to change. And, change is NOT easy. When I first got sober, I knew my life had to change, but I wasn’t necessarily up for the work it entailed. My sponsor asked me to do things that, honestly, I felt were stupid and below me. Imagine that?! As if I was such a model citizen at that time to believe that something (or anything for that matter) was below me! Wow, what a little perspective can do for you! Anyway, I begrudgingly took her suggestions and attended daily meetings (at 7 a.m. in snowstorms! ), called other women in the program, got involved in service work and, really, everything else she suggested. However, through all of this, I still had the assumption that if I did everything she asked and worked the steps, I would be “fixed” and everything would be “peachy keen.” Ha! The joke was on me. In my sixth month of sobriety (the first time around), I started in on my ninth step, which is when you make amends to those you have harmed and try to repair the damage of your past. Oh crap. That was my first reaction. I did NOT want to do this. It was hard and scary – and after one or two amends I said “Screw it!” and went out and drank again. I didn’t attend meetings for a few months, but after getting a phone call from a friend in the program, I decided to give it another try. This time around it was different. I had made the decision that alcohol was not going to be a part of my life – period. I was now ready to dig in and do the work that was required to achieve that change I so desperately wanted. I also came to realize that what I learned through working the twelve steps was not a one time gig – it was a lifetime commitment. Having completed the steps, I now apply them to my daily life. Am I right with God? Am I doing His will and asking for His guidance? How am I treating others? Have I done something that requires an apology? Where could I have done things differently? How am I sharing my experience, strength and hope with others? My life has changed drastically since making the decision to get sober. I could’ve never imagined a life so filled with joy after all the pain and suffering my family and I had experienced as a result of my drinking. But, here’s the thing, it’s NOT easy. It’s HARD. I work at my sobriety EVERY. SINGLE. DAY. Just yesterday, I realized I need to make amends to someone else, which means admitting my wrongs and owning up to my actions. At first, it’s scary, but the process is beautifully humbling and in turn brings me a little closer to God because I know I’m doing His will. “Complete abandon.” I love that image. I see myself free and open, with arms stretched out wide, abandoning the old and WILLING to accept a new way of life – a better way. I love this post! I remember being discouraged in the beginning when I realized that I would never get to that point of being “fixed”. It bothered me greatly to see people with many years of sobriety under their belts still struggle from time to time. I guess it’s kind of like saying that you can get to a point where you’re done parenting. Parenting will always have ups and downs, regardless of if my kids are 5 or 50. It’s not a negative thing or a poor reflection on me. It’s just life! So true, Karen! Thanks for your comments! Lovely stuff here, Chenoa. I am going to actually say the opposite of what Karen said here and say that I *enjoyed* seeing those with many years struggle at times, because it made me believe that they were still human, and that they weren’t these perfect gods and goddesses and I would certainly fail in trying to emulate. Anyway, like you, I have found the steps miraculous in what they have done to change my perspective and my outlook on life. It’s not even about not drinking most of the time…it’s about learning to deal with life and it’s curveballs…and it’s joys. But yeah, it isn’t handed to us on a platter. Work. Daily. Sometimes I don’t feel like meditating or praying, or meeting with a sponsee, or hitting a meeting, etc. but I know that when I do (and I almost always do), I feel much better – closer to the Creator, spiritually recharged, etc. and THAT is what keeps me away from the drink. I totally relate, Paul. There are many times I don’t feel like going to a meeting, but each time I go I feel SO much better! Sometimes I need that extra “kick” from my husband to get me out the door! I’m SO grateful for the life lessons I’ve learned through doing the steps – can’t imagine living any other way now! I liked the part about doing things your sponsor suggested that you “thought we stupid” … If i had a nickel for every stupid thing I didn’t do. Ughh. I found out, slowly, how right she was. This is a beautiful testament to the 12-step program. Thanks, Lisa! Hope you’re feeling better and doing well! My prayer for my own life is that I would live with complete abandon with arms opened wide! No better way to live!!! Great post! I love the turning point, I remember it vividly, I remember the very moment I became willing to do anything to stay sober! My sponsor said I needed to go to a meeting for every day of the week that I drank – which was every day – so I did. She said to call people and I did, she said to read and pray and write and I did. And though I don’t do all this at the same intensity I still need it all and it all keeps me in check. Has it gotten easier, yes, definitely, but it’s the 12 steps that allow me to live a good, happy and honest life. So true, Maggie! Thanks for your comment. I thought I knew how to live life when I was drinking, but, really, it’s the 12 steps that taught me how to truly live! If you have ever read my blog, you know that I can cheerfully admit the error in my thinking, and what a miracle that is! Thanks for the reminder that change, though difficult, is most definitely good! Thanks, Josie! I’m behind on everything this summer! Going to try and catch up with the blogging world over the next few days!